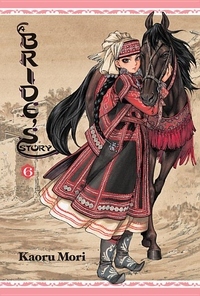 Acclaimed creator Kaoru Mori's tale of life on the nineteenth-century Silk Road heads back to Amir and Karluk. In the year since his marriage, Karluk has grown a good deal, but Amir can't help but feel overprotective of her much younger husband. Karluk wants nothing more than to prove that he can be a strong and competent man--and he may soon have the opportunity to prove just that. Desperate for land to feed their flocks, Amir's former tribe prepares to attack her village with a fearsome arsenal of cannons and guns provided by their new allies. This time the Halgals are not interested in capturing Amir--no one is safe from their terrible assault!